For versatile party-ware, I definitely encourage buying WHITE! I often get distracted in stores by beautiful patterns and trendy colors, but for pieces that will come out every season and event, white is the way to go. Additionally, you can always color coordinate with fabric, scrapbook paper, ribbon, stick-on jewels, and party printables. And just because something is white doesn’t mean that it’s boring! Look for unique shapes, textures and details in white pieces to give them a little something extra. Shapes: Square platters seem to work well on tables and it often works well to have two matching platters or plates to sit on either end of a buffet for balance. That being said, it’s great to have a mix of round, oval, square and rectangular platters for different types of food. Texture: Milk glass pieces may be the most common white, textured serveware out there. I am fortunate enough to have inherited my grandmother’s milk glass collection, but milk glass pieces are widely available on ebay and in antique markets. I also like these two bread bowls from Target, in both modern and traditional styles. These would be great for bread (obviously…), packaged cookies and snacks, pre-wrapped silverware, centerpieces, etc. Details: Little extras such as ruffles, flower detailing or even a unique handle can really make you LOVE your white serveware. 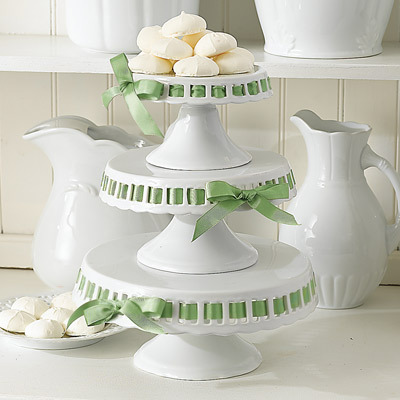 These cake stands from Layla Grace have a scalloped edge, a large base and cut-outs for custom ribbon, making them stand out much more than a standard cake stand. So cute! The next two buffet tables show a lot of color and personalization, but all of the pieces are white or glass! 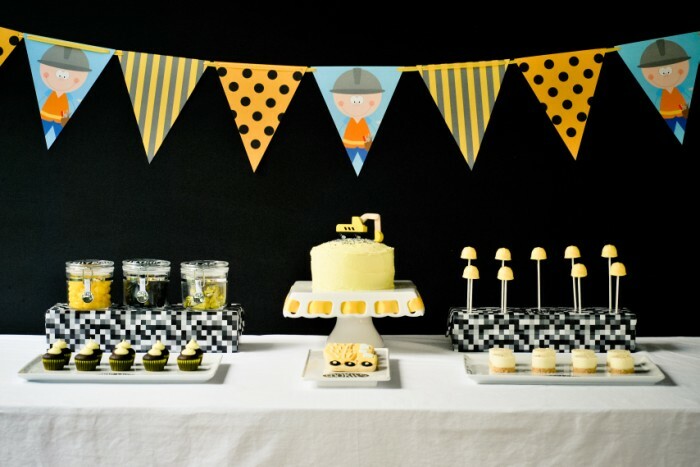 This Construction themed party from The Princess and the Pirate via Amy Atlas has a simple dessert bar that carries the theme perfectly! 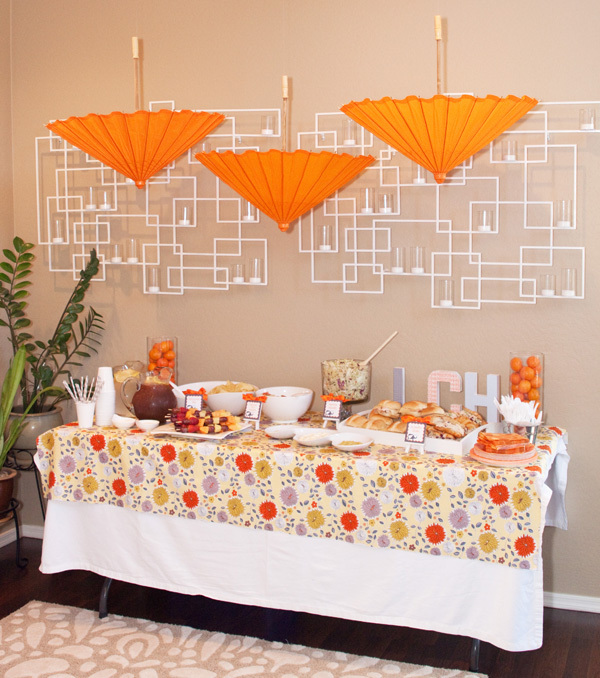 Similarly, this food buffet from an Elephants and Alphabets baby shower from Fresh Chick Design Studio via The Hostess with the Mostess makes use of white platters but fabrics and oranges make a big statement! 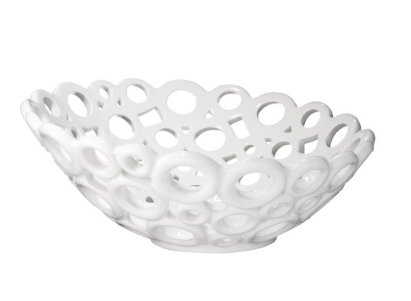 This entry was posted in Entertaining Basics and tagged target, white. Bookmark the permalink.